In my tiny review of Read Quick I lamented about the fact, that one could not mark an article read (in Pocket) directly in Read Quick. Also, and option to mark the article as read, once you are done with it, would be nice. This apparent lack of a feature was so annoying to me, that I decided to click on the "finished" icon next to the article - and voilà... a new menu appears, with the usual range of sharing options, but also an Archive icon. 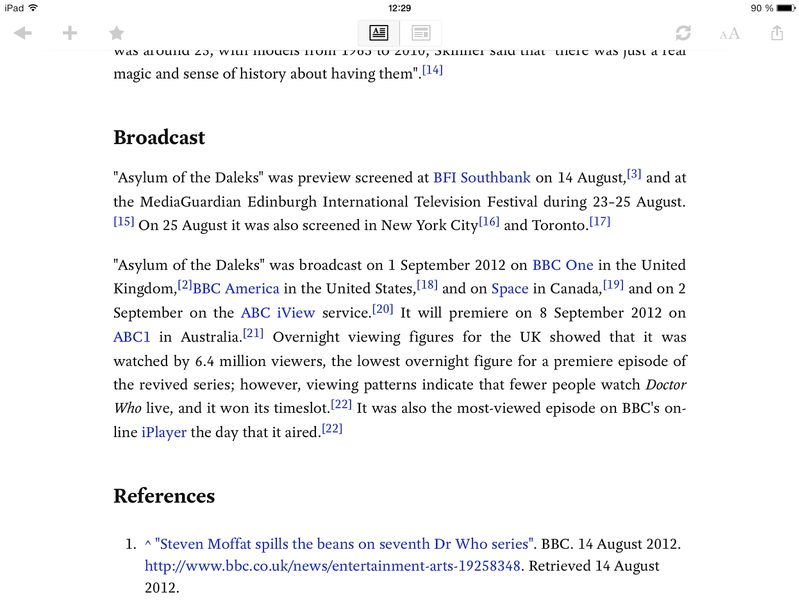 Archive - of course - is the pocket way to mark an article as read. So I stand corrected, Read Quick does fully sync with Pocket. Hooray! 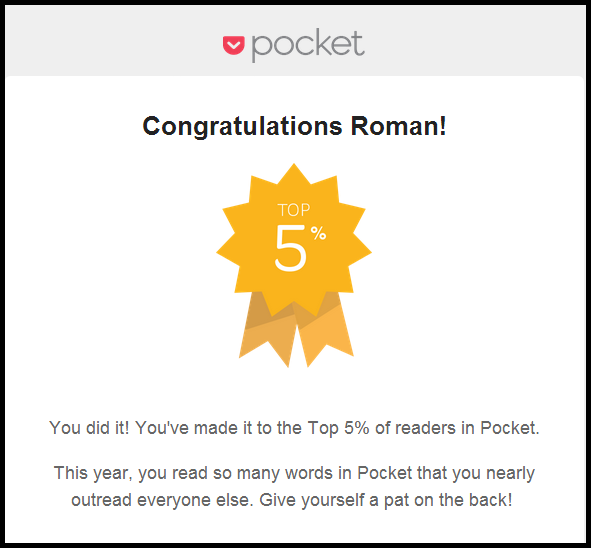 Speaking of Pocket, here's a nice little info I got from them... it appears I'm amongst the top 5% of pocket users. Another hooray! And finally... on my iPad in Safari I use the Reader. It has about the same features as Evernote Clearly, except that it is not an extension and only exists on iOS. Luckily it is built into the browser since several iOS version (not sure how long) and therefore is just there (for free). 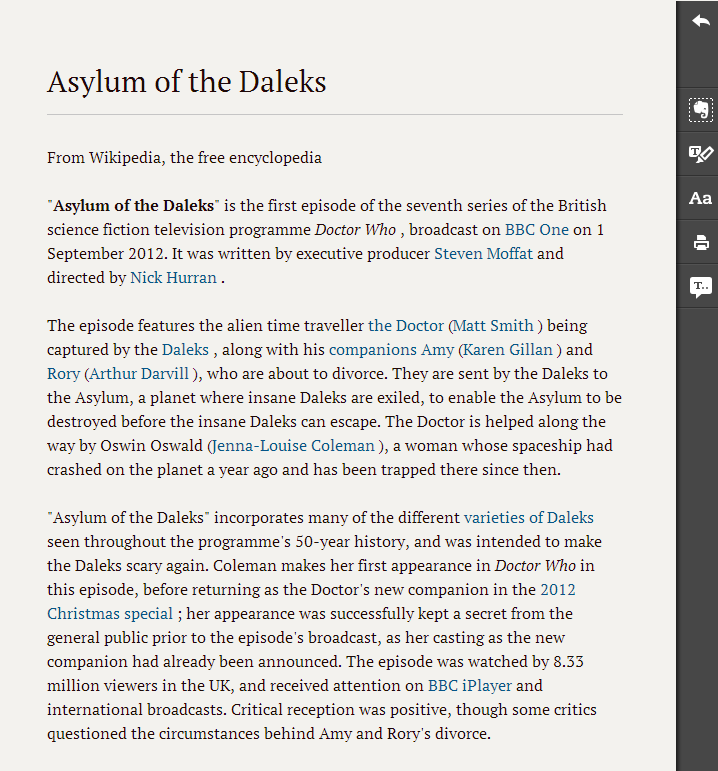 It also comes with a reading list feature, but I never use that, simply because I want my reading list centralized (i.e. pocket). I only use it to clean the article of all the clutter around it, and it works like charm. All you need to do is press the little reader icon (seems to represent some text lines as in "text only") left of the URL bar. Our Wikipedia entry looks like this (click to enlarge). Nice thing is, that links work. While I studied at TU Vienna (Computer Engineering) I took some lectures in Computer Linguistics offered by the Linguistics Department of the (regular, good old) University of Vienna.One of those lectures/courses was about Text Comprehension and Computers (this was 1990), and I was the proud presenter of the topic Reading on the Screen. One of the methods I came across during preparation was Rapid Serial Visual Presentation (RSVP). It is about presenting one word (or very short phrase) at a time at a fixed location. This allows for reading rates of up to 700 words per minute . Flash forward 22 years (ouch) and imagine the déjà vu I had, when I learned about ReadQuick. Because it is exactly an implementation of this. ReadQuick is an iOS app, that uses Pocket, Readability or Instapaper as a back-end service to store/queue the articles and then presents them in RSVP style. You can set the speed yourself (in words per minutes). I'm currently at 335 as you can see. You'll notice that over time your reading speed will increase - as advertised. I think I started around 220 or so. One nice side effect is, since the article size (in words) and the speed is known, it can tell you how long in minutes this article is, or how much you have left. It actually is a totally different reading experience. After a time you'll get rid of "reading" and just absorb the text as it flies by. It's $4.99 in the app store, but totally worth it. The longer or more narrative an article is, the rather I read it with ReadQuick. However, you do need a quieter environment then for the rest (at least I do), because once you get distracted, you cannot easily jump back one sentence or paragraph. Unfortunately, this app is iOS only for the time being. An Android version is said to be in the works. Mills, C.B./Weldon, C.J. : Reading Text from Computer Screens. ACM Computing Surveys 19,4 (1987)... to be found here. Well at that time, I got it from TU Vienna Library back in the days. They use a color gradient that "flows" along the line and creates a high onctrast between two lines. Supposedly this should make reading easier. Quite frankly, I cannot judge this, but it seems to work. If you are a Firefox or Chrome user, install it from here and try it. Worthwhile. Again, here's our Wikipedia entry for comparison with the other tools. Click to enlarge. Evernote Clearly is an extension to both, the browser and Evernote. I guess, it is fair to say, that it only makes sense to use Evernote Clearly, if you are an - at lest modestly - active Evernote user. But see for yourself. Clearly makes blog posts, articles and webpages clean and easy to read. 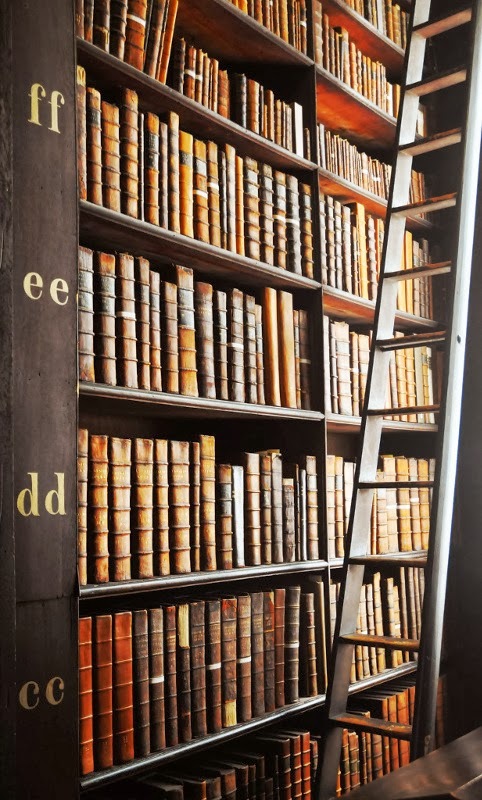 Save them to Evernote to read them anywhere. I use Clearly whenever I'm on a PC/browser and want to read some longer article or post , or when the web page is cluttered with too many gadgets, ads and nonsense - primarily when I need to read it now (otherwise I'd use pocket). Once you installed the browser extension, you will find the Clearly icon in the toolbar. 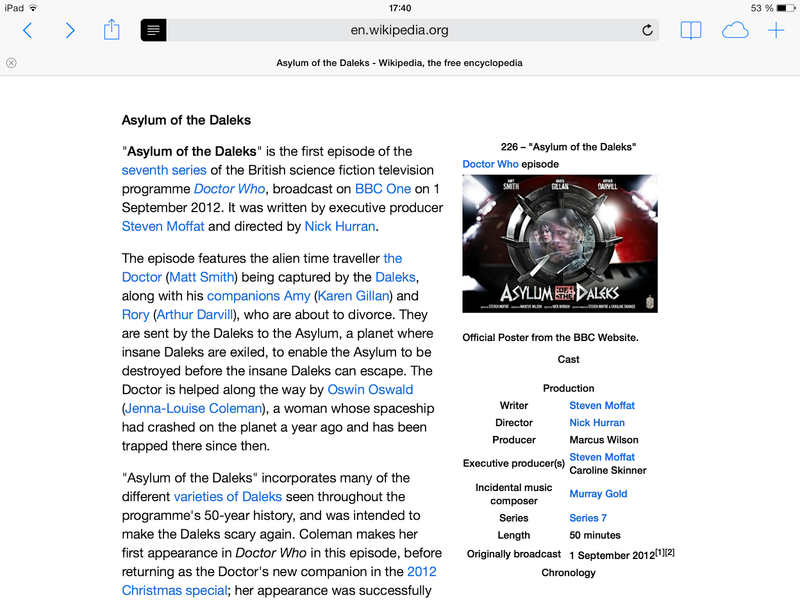 When needed, you just click on it, and it will overlay the current web page with it's own cleaner content-only view. You can clip and save to Evernote directly from Clearly and you can also print the cleaner version. 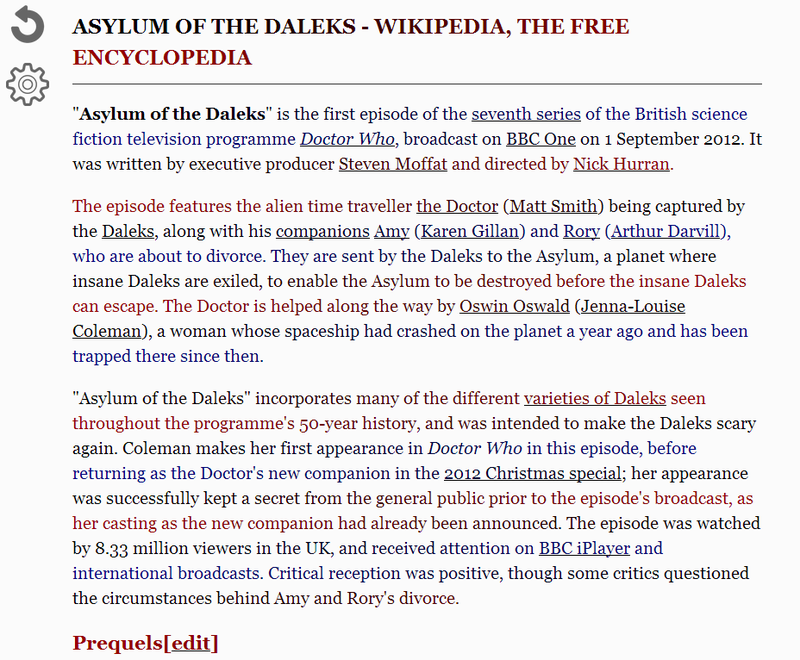 Here's the reference Wikipedia entry as viewed through clearly (click to enlarge). As you can see, this is really a clean and smooth reading experience. Try it on one of the ad-cluttered news sites for a start. And most importantly: it comes with this cool Luxo Jr-like desk lamp as an icon. Always a plus. 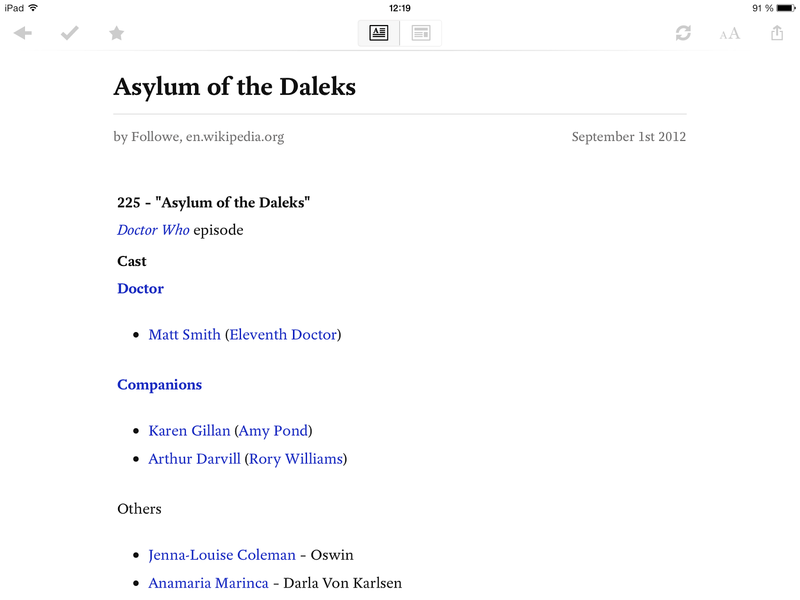 Pocket (formerly: read it later) allows you to save an article / URL to your pocket list for later consumption. The pocket list is not device specific, but kept "in the cloud", so you can access it from everywhere. You can see it as a competitor to Instapaper or Readability. The main use is, that when I find an article or post interesting (or too long to read on the mobile while on the underground), or just stumble upon a post, but don't have the time to read it right now, I put it on my pocket list. 95% of the time this will be from Feedly , the remaining 5% are from Facebook, G+ or Twitter. Yes, I'm still one of those grumpy old guys from last century, who use RSS. Once click from Feedly, and it is in my queue. Pocket makes it really easy to put an item into your reading queue or list. Feedly, for instance, directly supports Pocket, and all you need to do is press the pocket button to send an item to the queue. All my browsers have extensions that allow me to send the current document/URL to the pocket list. On Android, Pocket is integrated in the Share menu, so all apps that can share content via the SendTo Intent, automatically support Pocket as well. 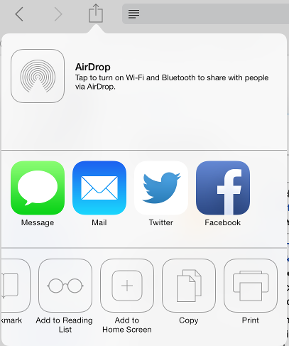 iOS introduced a similar share menu (now combined with AirDrop), however, Pocket does not (yet?) support it. What Pocket does nicely (both on iOS and Android) is to detect that you have a URL in the clipboard, and allows you to add it with just one click. So you can easily copy the URL from the Facebook app or browser, switch to pocket and simply save it there. Once an article made it into the pocket list, it can be read from everywhere. PC/Browser, iOS, Android. I personally do 90% of the actual reading on my iPad, 10% on my Android mobile. So my pattern is, queue from Android (while on the road) and read on iOS (at home). The number one reason I queue article to pocket, is that I don't have the time to read them when I discover them (again...commuting on the train / underground). Or the device is to small. The other reasons is, that pocket (like all the other tools I show in this series) removes all the disturbing gadgets from the web page, and shows only the pure content (+ content related images). Once an article is read, you can decide if you want to delete it, or archive it. Either way, when you're done, you should get it of of the queue. When you decide to archive (which is what I usually do), it does help to add some tags to it (tag icon) before you send it to the archive (check-box icon). That's how pocket works for me. You mileage may of course vary. or Google Reader back in the good old days. 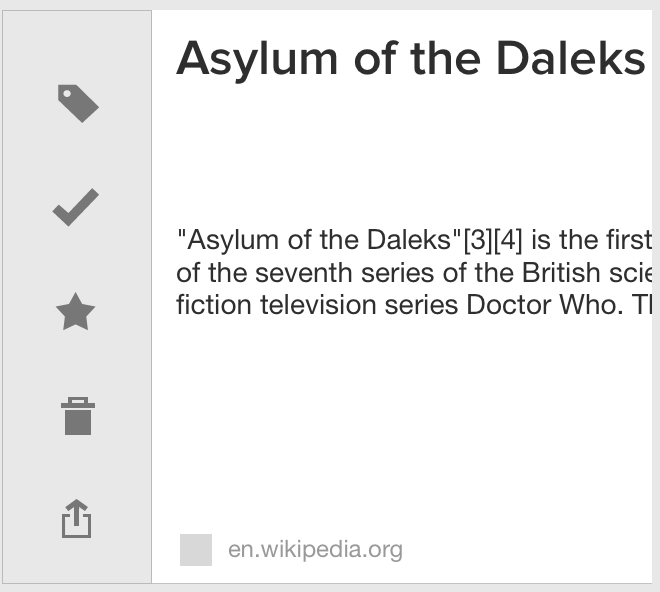 I will use the very same Wikipedia entry for comparison in this series.